The Bel Mar Coin Club celebrated their 50th Anniversary on October 16th, 2017! The Club received Accolades and Awards from the American Numismatic Association; the Town of Aberdeen; and Harford County, Maryland. This was a momentous occasion for the Club and the meeting and celebration was well attended by members, their families & guests, and Representatives from the Town of Aberdeen & Harford County. We hope you enjoy the brief slideshow linked above. Click on the 50th Anniversary image to see pictures from the celebration. The Bel Mar Coin Club is growing! 2016 and 2017 have been good years for the Bel Mar Coin Club. As we celebrated our 49th year, and now begin our 50th year as a Coin Club, we have seen renewed interest in the hobby, and visitors to our Club Meetings each month. We have added several new members recently and look forward to adding even more in the near future. Our Annual Coin Show is coming up on Saturday June 10, 2017! We have a full day scheduled with lots of Coin Dealers committed to showing and selling their collections plus snacks and food and fun for the whole family! Bel Mar Coin Club has been adding new members and seeing new visitors at each regular monthly Club Meeting. Our 2016 Coin Show had very good attendance, and each of the Dealers represented at the Show had favorable comments about the number of people who came out to the Annual Coin Show. If you live in Harford County, or within driving distance of Aberdeen, consider visiting one month. We meet the 3rd Monday of each month beginning at 7:00 pm. Monthly meetings usually last 90 minutes and include updates on Club News from the Officers, the Club Treasurer’s report, Special announcements or presentations, snacks, and a lively Coin Auction. Several members usually have coins or coin books on display, and you will be sure to learn something new about Coin Collecting / Numismatics at each meeting. 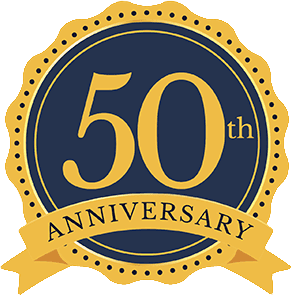 Bel Mar Coin Club is approaching our 50th year anniversary as a registered Coin Club in Maryland. 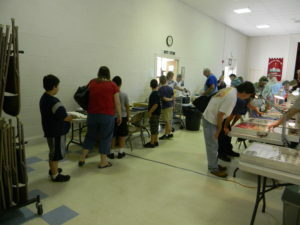 We are participating members in the ANA, and promoters of the Hobby around the State. If you are currently a Coin Collector, or if you would like to learn more about the Hobby, make plans to attend a meeting at the Grove Presbyterian Church on Monday evening July 18th, or any 3rd Monday evening. There is more information on the About Us Page or the Auction Sheet Page. You can also send us a comment on this website, or use the About Us Page to get in touch with our Club President, Scott Schubert.